Upon entrance we stampeded our way directly to the ever popular, all time favourite; Bart & Francis. Not only to pore over their amazing selection of fibres, but I wanted to show off a project to them which I had made from their gorgeous yarn. (The details of which you will see in a coming post later this week!) 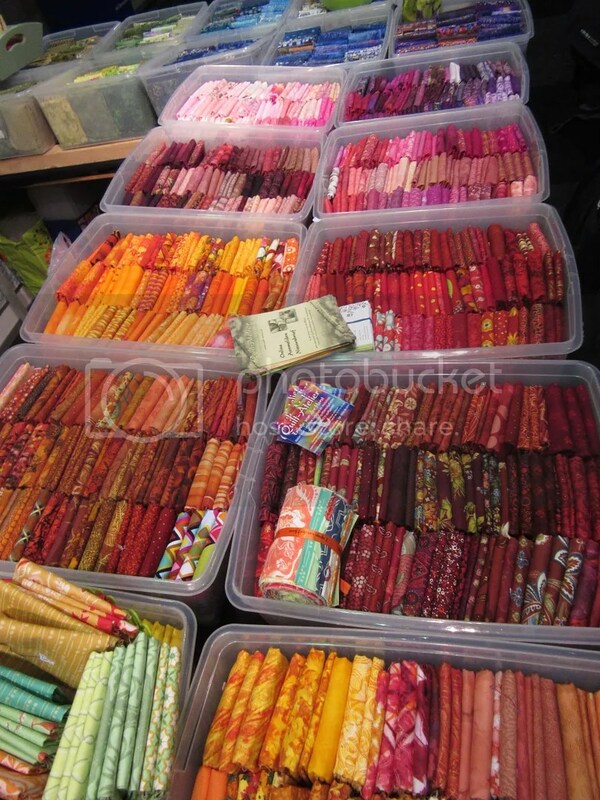 Before you ask, yes I did buy more of their spectacular silk. If you had handled it yourself, you wouldn’t ask that question! 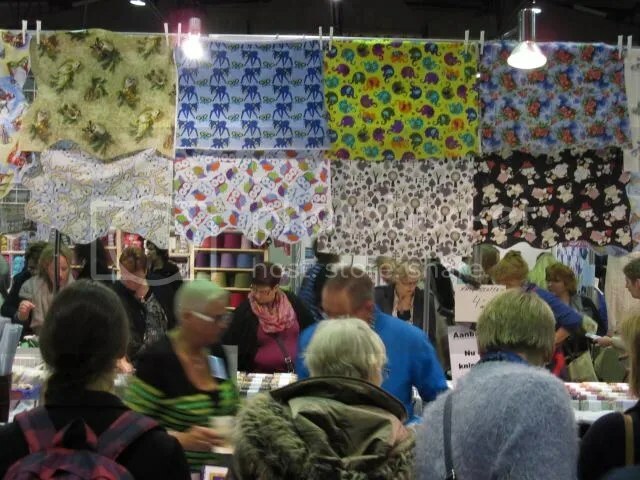 As it is a general hand craft fair, not just yarn, there was a preponderance of quilting supplies this year. This is by no means a bad thing, I just have yet, so far, been able to resist their siren song. (Go me!) But the pull was strong. 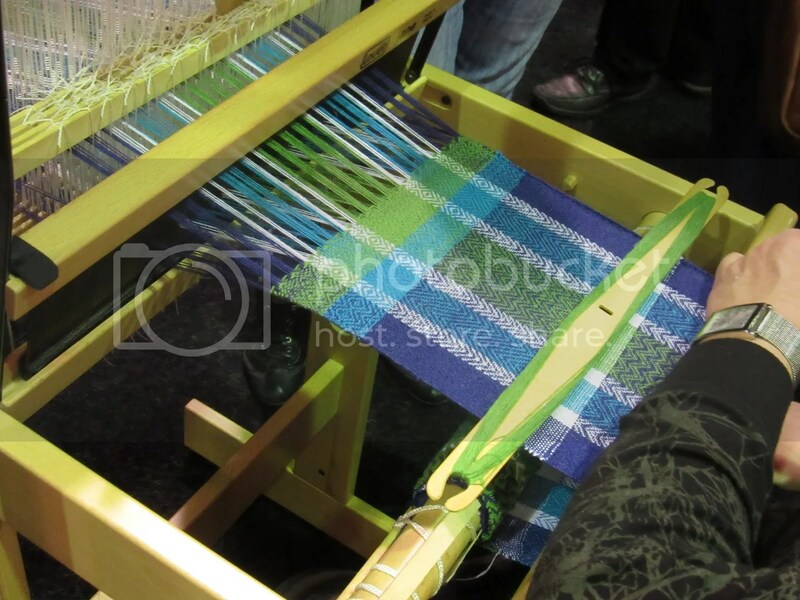 The group that I was traveling with has many and varied talents and interests, and though there was another spinner like myself, there was also a weaver! She had more luck with her hobby than we did with ours this year! The wonderful lady with her spectacular beaded purses was there again this year. I was lucky enough to chat with her a bit this year, and confirm that she makes her purses via the same method as the beaded purses in the Tassenmuseum; she strings all the beads onto the yarn in pattern first, then they bags are knitted. 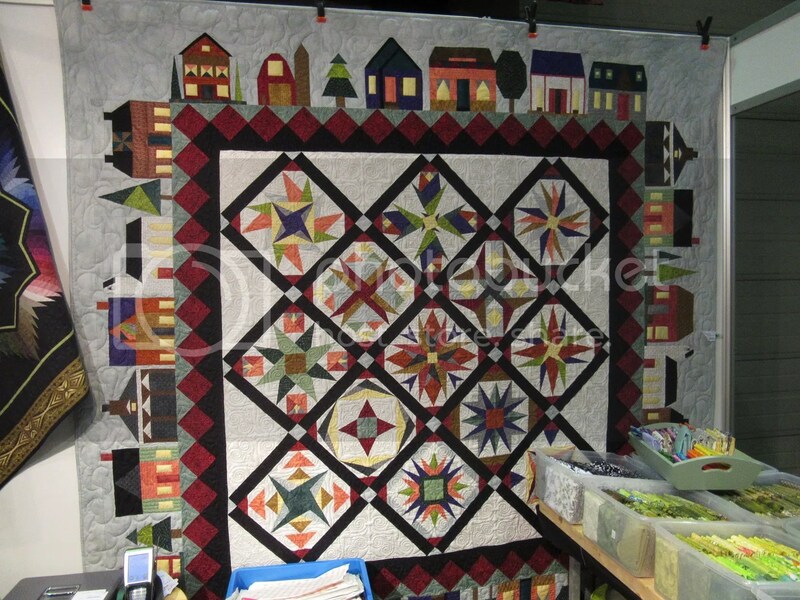 I promised I wouldn’t put any photos of her work online but here is her website. 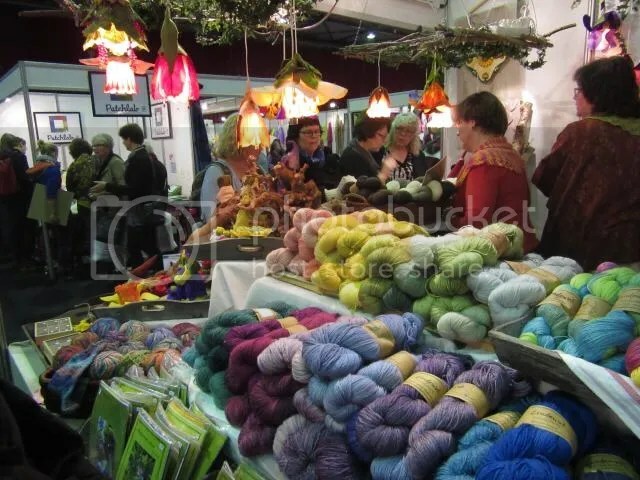 For another year I have fallen in love with the beautiful felted blossom lampshades that adorn a couple of the stalls. If I could just think of a use for them in my life, I wouldn’t hesitate to purchase them. This year, I also added to my list of “one-day-when-I-have-a-purpose” these wonderful paper flowers made from paper yarn. As Himself has said, we just need to come up with a photo shoot that requires them! Cross stitches and tapestry also had a really heavy presence this year. They had some truly breath-taking designs on display. I do love a good cross stitch. It’s just not something that holds my attention when the elements are in front of me and they require being put together. 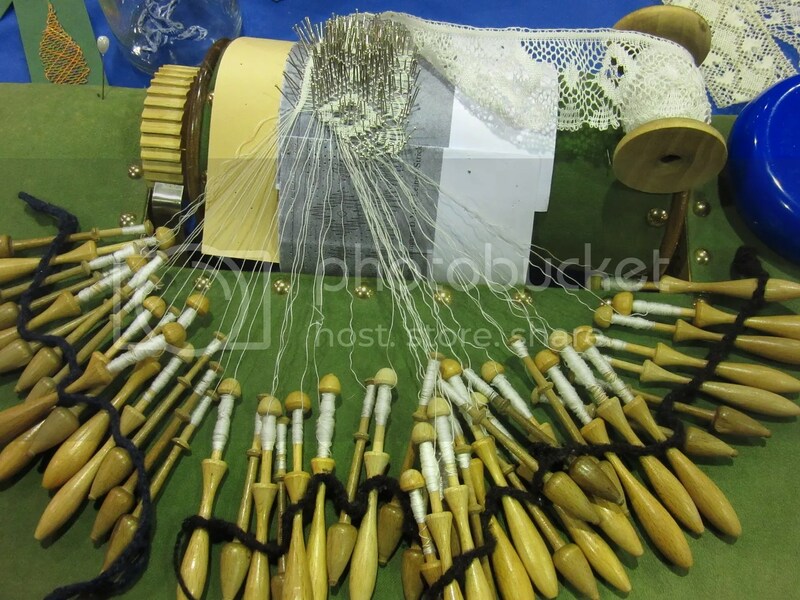 What does hold my interest, and I have a long running fascination with, is bobbin lace. There are a couple of things which hold me back from this particular art form. First is the set up cost. Possibly if a had a friendly wood turner in my pocket it might be a different story! Second, is the lack of portability, though I guess you could say similar about spinning. And third would currently be my lack of ability to leave this out over night! *side-eyes the currently sleeping cats* Then again, if I had been driven enough, none of those things has stopped me previously, so there you go. What have you been up to that indulges your creative side recently? I’d love to hear about it in the comments! I hope to see you all again at my next post to hear about what I’ve been making recently, stay tuned! Quite clearly the Siren song is not being played loud enough nor with the right crescendo, and shame on you for not being of sufficient foresight to find other projects for such amazing fabrics – not trying hard enough. 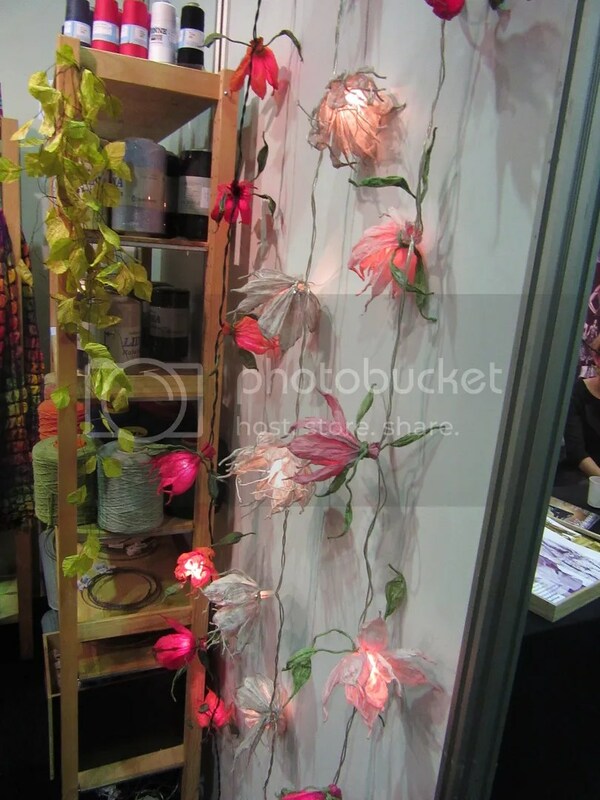 Clearly not trying hard enough with the blossom lampshades – they could adorn your market stall when selling your wares, and same goes for the paper flowers. 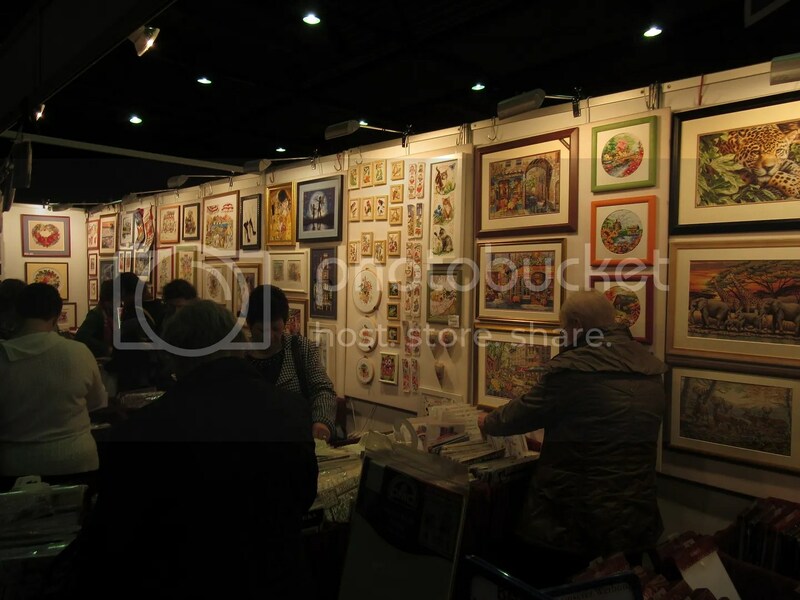 Cross stitches now there is a reason to be there, though as my girl would say “and which wall are you going to hang that on?” A good wood turner eh, well I knew someone who was giving it a go but has since got side tracked with a young and expanding family – so no joy there. Creativity has been confined to the gathering of ideas for future implementation – some more longer term but a few in the short term – but even those may be put on hold for the intended building works. Market stall? I’m having a market stall? Ahh the cross stitches. I got some close ups of those, and I wasn’t sure if the pics were for you or me! 😉 How’s that kit I got you coming along? Market Stall – Why not – it would suit you. Bobbins – more detail required there – I don’t know enough here – sizes etc, critical dimensions?? I love bobbin lace. Almost as much as I love needle lace! And I will get there, I have books and everything! 🙂 Stangely, the cats have paid no interest whatsoever in the spinning. I think it’s because I pack it up tightly and don’t leave anything “out” for them to play with. 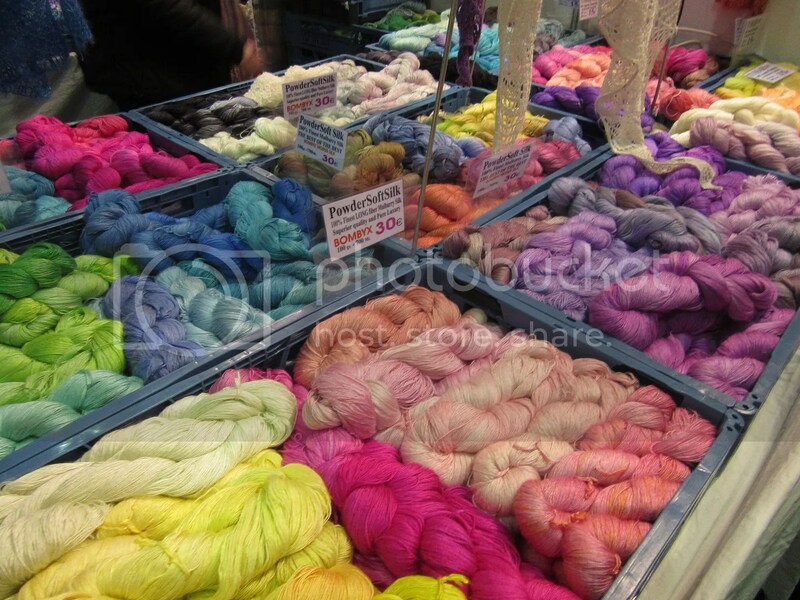 The rainbow of colours is how they get you to buy all the gorgeous fibres! They look so beautiful all set up in the fairs on the tables … What kind of Aida do you need? I know where I can get some here if it would help? The cat generally leaved my knitting alone, aside from occasionally, half-heartedly, batting at the yarn or trying to sit on a skein. Thankfully, so far, the biggest risk is someone will erp on or sit and shed on my project when I’m not around.